Google is moving into your home. On Monday, the Internet company said it was acquiring Nest, a maker of smart smoke alarms and thermostats, in a move that gives Google a strong foothold in a hot new market known as the "connected home." The idea behind the connected home is to connect heating systems, lighting systems and appliances such as refrigerators to the Internet so that they can be made more efficient and controlled from afar. In the process, companies can collect more data about people's habits, something Google loves. 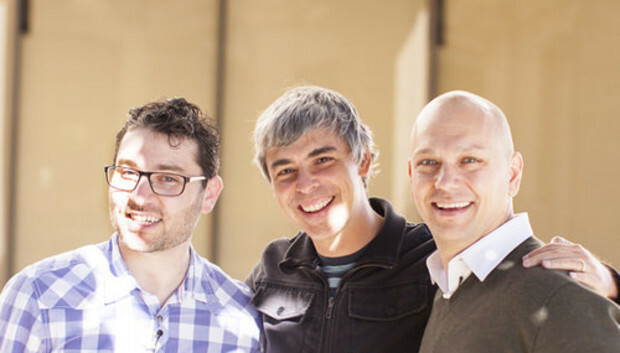 Nest's price tag shows Google means business: US$3.2 billion cash. If the deal goes through -- which Google expects in the next few months -- it will be one of its largest acquisitions since the Internet giant bought YouTube in 2006 for $1.6 billion. Google has been interested in Nest since at least 2011, when it led a round of funding in the company, followed by another in 2012. Nest makes a thermostat and a smoke-and-carbon-monoxide monitor that can be controlled via Wi-Fi from a smartphone, and that can re-program themselves based on people's behavior. The privately held company was founded in 2010 and has more than 300 employees spread across three countries. A good number of its workers, including CEO Tony Fadell, are former Apple employees. So why is Google willing to cough up so much for such a young company? For starters, it likely saw a pool of talented engineers who can help it tap into a hot new market. It may also be seeking a launching pad to play a bigger role in connecting all those home devices, be they thermostats or perhaps one day your toaster oven. "This is a new area for Google, representing a desire to take advantage of all devices," said Ben Bajarin, director of consumer technology at Creative Strategies, a market intelligence and research firm. "Google wants its own platform for this world of connected things." Google certainly wants a bigger presence in the home -- it's shown that already through other products. Earlier this year it unveiled the Chromecast, a $35 device for streaming television, movies and other content to your TV -- its answer to Apple TV. It also operates the Play Store, providing all sorts of entertainment options. On its own website, Google maintains a "tips" page devoted to Google services in the home, like how to use Google+ to "get the family together." Linking home appliances is an emerging market where Google won't want to get left behind. The timing of the announcement -- coming on the first business day after the massive International CES closed its doors -- is interesting. At that show, the connected home was one of the biggest topics. Among the movers, Samsung announced it was developing a software platform for connecting home appliances. Samsung has a head start in some ways, since it's the leading smartphone maker -- the device through which many appliances will be controlled -- and it's a huge maker of appliances like refrigerators and washing machines. By acquiring Nest, Google will get its hands on one of the most-talked-about connected-device startups of the past year, which was thanks largely to its Apple pedigree. Google is already working to connect other types of devices. It recently announced its Open Automotive Alliance, which would bring Google's Android system to cars this year, making them smarter. But if Google also has better information about how we interact with household appliances, imagine the possibilities. The home is "a big piece" of the connected-devices puzzle, said Roger Kay, president at Endpoint Technologies Associates. Imagine how much more relevant Google would be able to make its ads, if the company had more information about people's habits in the home. "Google is an advertising company and it's collecting as much data as possible," said Creative Strategies' Bajarin. It would make sense, he said, for Google to look closer at what people do in the home. "It's about building that in-home relationship with the consumer," said James McQuivey, an industry analyst at Forrester Research. A bigger presence in the home could raise more questions around data privacy. Shortly after the announcement, Nest co-founder Matt Rogers took to the company's blog to address that issue. "Our privacy police clearly limits the use of customer information to providing and improving Nest's products and services. We've always taken privacy seriously and this will not change," he wrote. To what extent Google will try to expand its footprint in home appliances, and how it will use that data if it does, remains to be seen.